New work from Carnegie scientists Russell Hemley and Ivan Naumov hones in on the physics underlying the recently discovered fact that some metals stop being metallic under pressure. Metals are compounds that are capable of conducting the flow of electrons that make up an electric current. Other materials, called insulators, are not capable of conducting an electric current. At low temperatures, all materials can be classified as either insulators or metals. 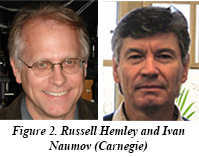 Hemley and Naumov wanted to determine the unifying physics framework underlying these unexpected metal-to-insulator-to-metal transitions. 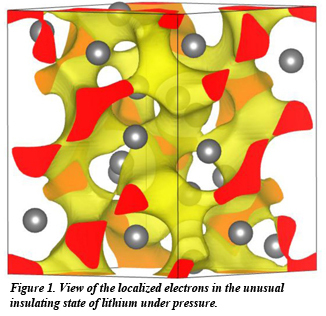 The principles they developed will allow for predictions of when metals will become insulators under pressure, as well as the reverse, the insulator-metal transition.